Peter Schulte joined the Pacific Institute in 2008. 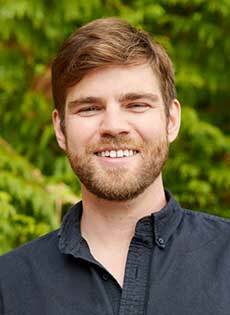 As senior digital engagement associate for the Institute’s corporate sustainability projects, his work focuses on connecting companies and a variety of stakeholders with research, guidance, case studies, and best practices that lead to improved water stewardship. Over his tenure at the Institute, Peter has worked on a variety of issues, including corporate water accounting and disclosure, water risk, collective action, the human right to water, sanitation, sustainability standards, and the United Nations Sustainable Development Goals. In his current position, Peter leads the development of the CEO Water Mandate website and the Water Stewardship Toolbox and supports the development of the CEO Water Mandate’s Water Action Hub. Peter holds a B.S. in Conservation and Resource Studies and a B.A. in Comparative Literature from the University of California, Berkeley, as well as an M.B.A. in Sustainable Systems from Presidio Graduate School (formerly Pinchot University).